Director Andy Muschietti has found his adult version of Stanley in IT: Chapter 2. 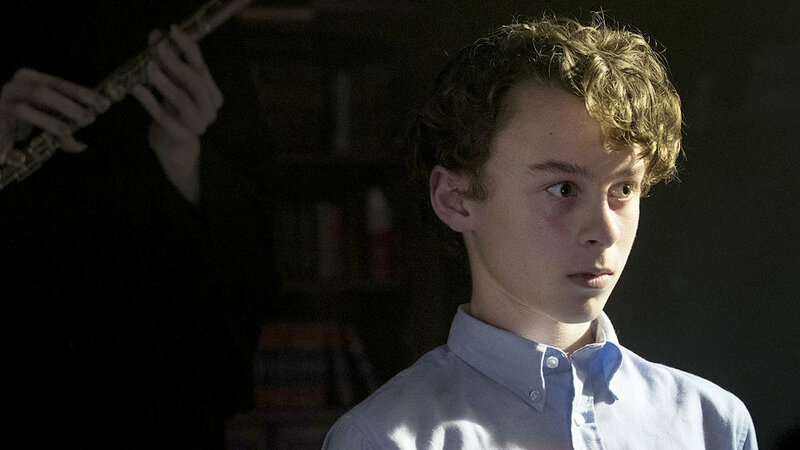 He has cast Andy Bean (Here and Now, Power) in the role that was played by Wyatt Oleff in the first film. Another actor that wasn't on anyone's fan casting list, but I'm sure he'll be fine in the role. It was recently announced that James Ransone (Sinister 2) would be playing an adult version of Eddie. They join Jessica Chastain, James McAvoy, and Bill Hader, who will play Beverly, Bill, and Richie respectively. Then there's Bill Skarsgard who will return as Pennywise. The next film will be set 27 years after the Losers Club defeated Pennywise The Clown when they were kids. As they've grown up, they've forgotten about what had happened. When bad things start to happen in Derry again and kids begin to go missing, Mike Hanlon, who stayed behind in Derry to keep watch over the town, calls up his old friends and reminds them of the promise they made to come back and stop it if it ever came back. It has previously been revealed that Chapter 2 will include more of the interdimensional turtle, which was teased in the first film a few times. It will also have a much darker tone to it, and it has been said that Mike Hanlon's character will be drastically changed, as he will be a junkie. You can read more about that here. The sequel will also most likely explore Pennywise the Clown a little more. We've heard that the sequel may include elements from Pennywise's history in Derry such as the story behind The Black Spot and there was a deleted scene from the first film that was revealed that included Pennywise eating a Baby. That could be included in the sequel as well if they really do plan on giving us a history of the monster. Then there's Skarsgard, who hopes that it will explore the twisted mind of Pennywise. We know that the full cast of kids will return to reprise their roles in the sequel including Jaeden Lieberher, Jeremy Ray Taylor, Sophia Lillis, Finn Wolfhard, Wyatt Oleff, Chosen Jacobs, and Nicholas Hamilton. IT: Chapter 2 will be released in theaters on September 6, 2019. Production on the film starts this summer in Toronto.